Suite at the Turk's Head Inne, Grand Turk. Turks Head Inne, built 185 years ago and recently completely refurbished, is centrally located in Cockburn Town. A variety of rooms are offered, from bunks to luxury suites. Also onsite is a bar, restaurant, and pizza garden. 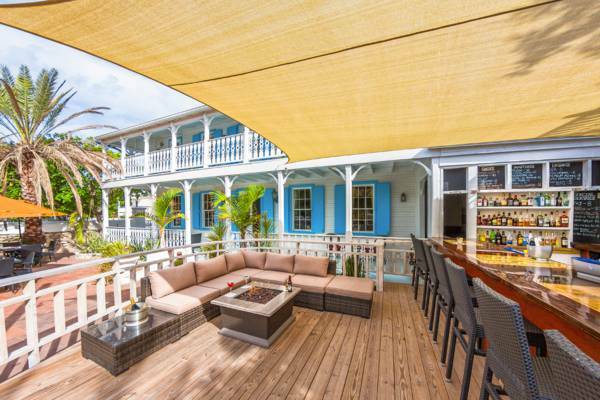 The outdoor lounge and bar at the Turk's Head Inne, Grand Turk.